Hello Fellow Fashionistas! 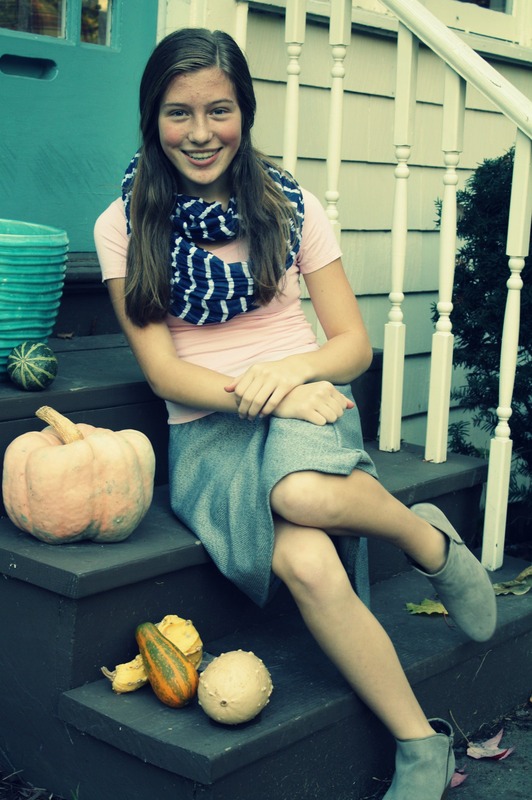 Today I’m excited to welcome Sewloveable from http://www.sewloveable.wordpress.com to do a guest post. 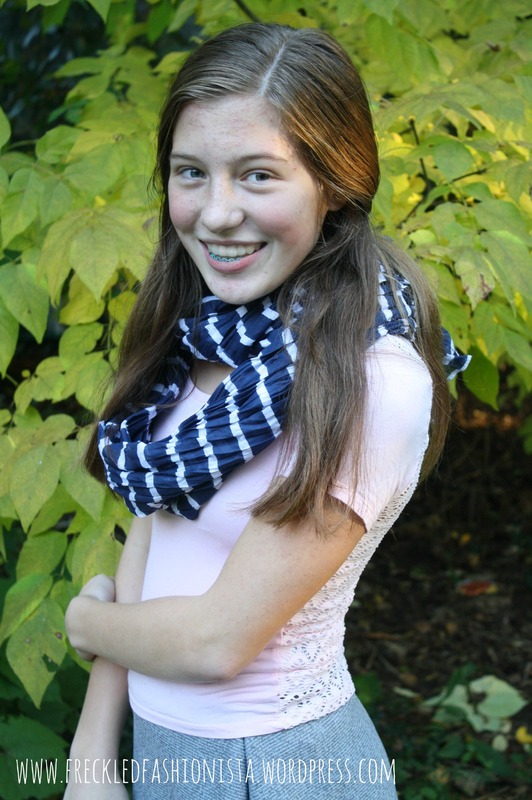 Once again, a big thank you to her, and be sure to check out her fabulous blog! 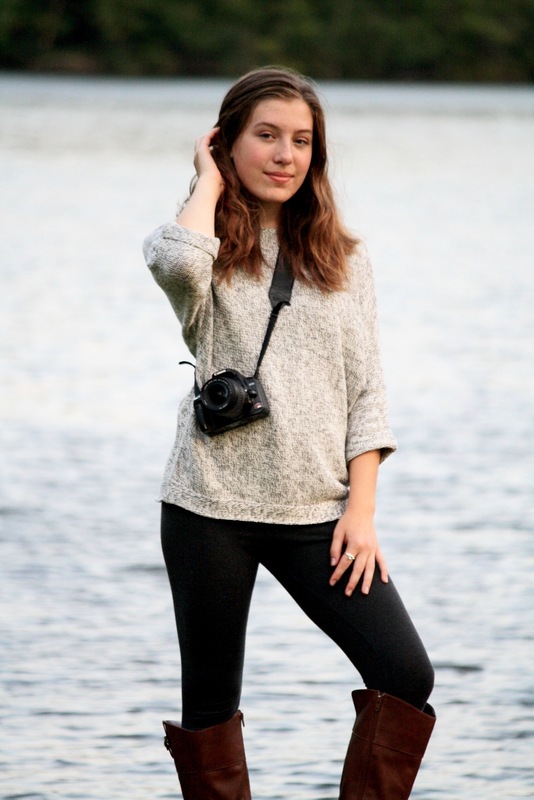 Today, I have the great pleasure of doing a guest post here on Freckled Fashionista. 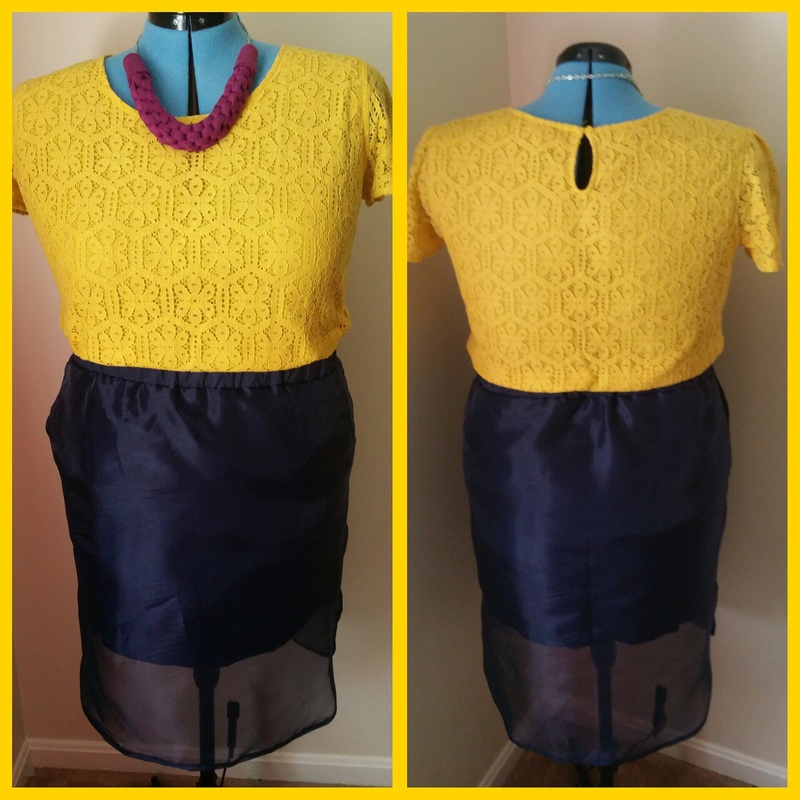 For this post I decided to review/display Simplicity Pattern 1428 View D.
For the skirt I decided to use a Navy Blue Organza. Since, I was using a sheer fabric I needed a lining. I decided on a coordinating Silk. The pattern was pretty easy to follow. I did struggle a bit with the curved hem + doing it on the organza made it a bit trickier. But I was up for the challenge. Let’s talk about adjustments. The only adjustments I made were to the lining fabric. I used the back pattern piece and cut it 3.5″ shorter and straight across instead of the curved hem. My goal here was to have the skirt lining end right where the side split begins. For the waist band casing I used the silk fabric since it would feel more comfortable against the skin. All in all working with these two slippery fabrics took more time but it all paid off in the end. I got the skirt I envisioned. 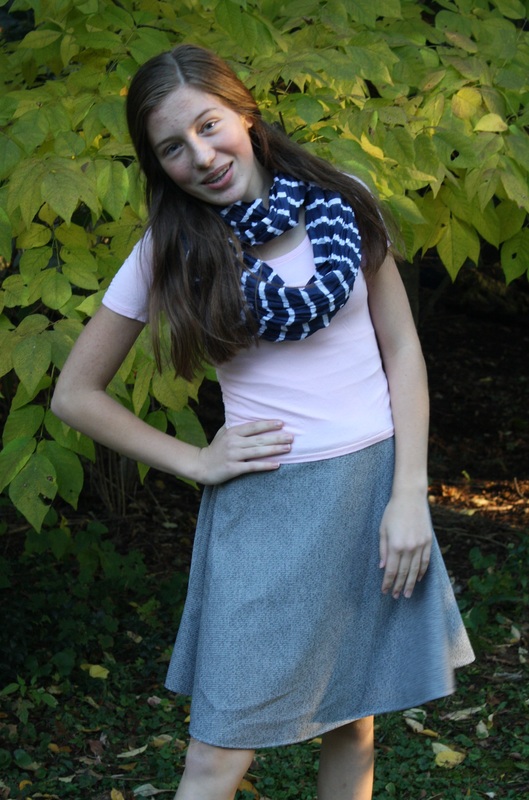 I will definitely make this skirt again in a different fabric choice. I found the pattern to be pretty easy to follow along with. One thing I really loved is that there were not a lot of pattern pieces to cut out. Which made for an enjoyable sewing experience. A big “Thank You” to Abigail for this fantastic opportunity!!! If you’re looking for inspiration for your sewing space, please check out Abigail’s sewing room tour here. 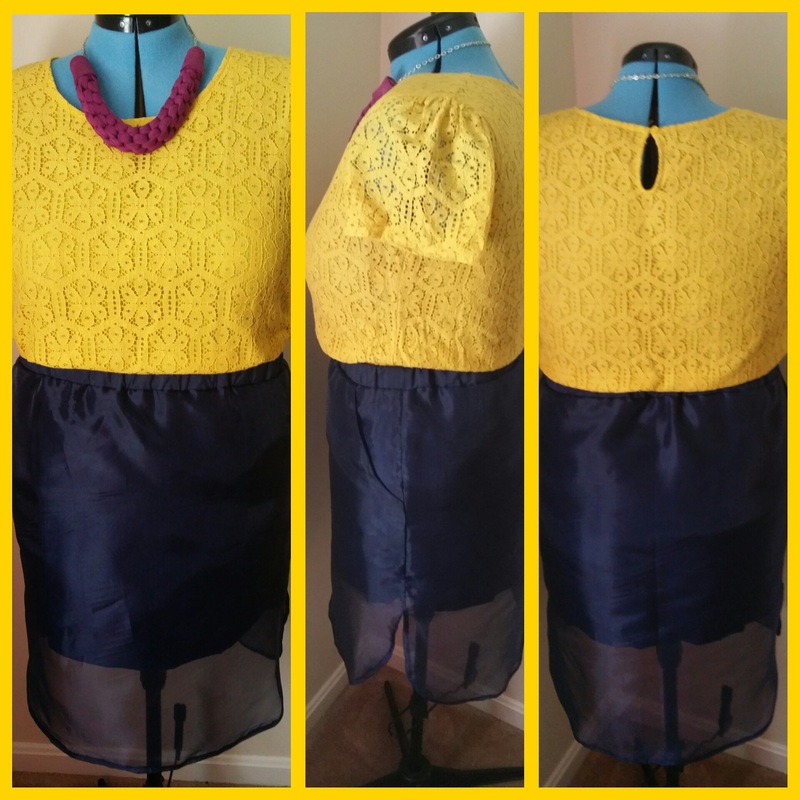 There’s nothing like great inspiration to get you in the sewing mood!! Doesn’t the skirt look AMAZING? 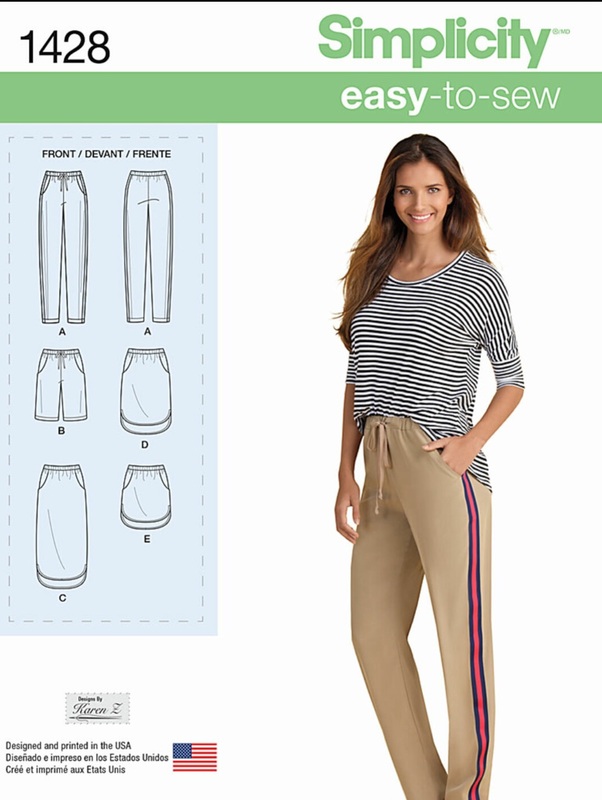 Be sure to let Sewloveable know what you think about it in the comments. Hello my fellow fashionistas! It’s been such a wonderful week…the sun has been shining and some of the snow is melting in certain places. It’s giving me hope that spring might actually come! If you checked out my post Looking Ahead On freckledfashionista, you would have read that I am participating in a fashion program at a local library called “Project Runway” for tweens and teenagers, and I’ll be taking you through the course of me making my outfit, from shopping for the supplies to sewing and the runway show. Don’t worry, it’s not the real Project Runway. It was almost impossible for me to choose a book to base my design on, since there are so many amazing books in the world. 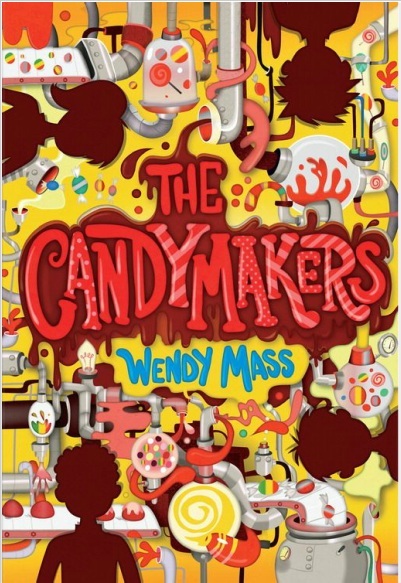 In the end, I choose The Candymakers because I can make a super funky and bright outfit that I might not make otherwise. The outfit is going to be a pink tulle skirt (I got that idea from all the cotton candy in the book) with sequins on the bottom, and a tank top with a cool pattern and lots of embellishments. Today I went to Joann’s to get all my materials, but I forgot to bring my camera to photograph my process. Joann’s is heaven to me. The materials draw me in, and all the colors make me feel right at home. 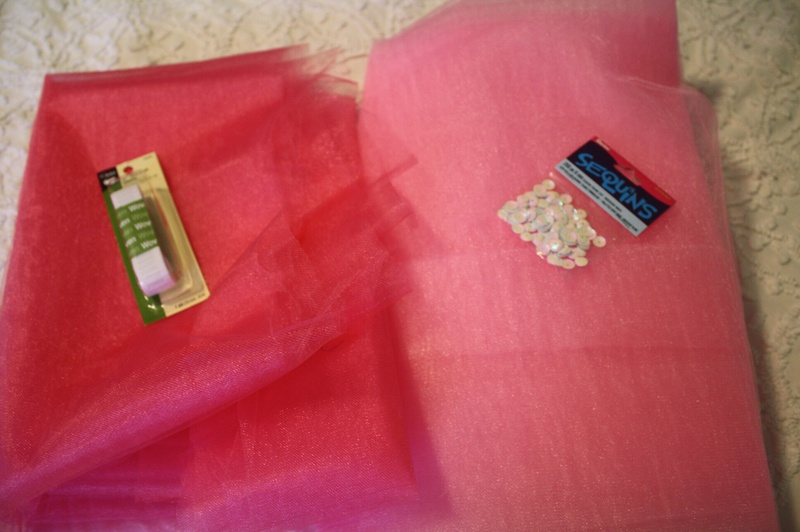 I want to start on the skirt before I even think of the tank top, so I bought the tulle, elastic, and sequins that I would need. 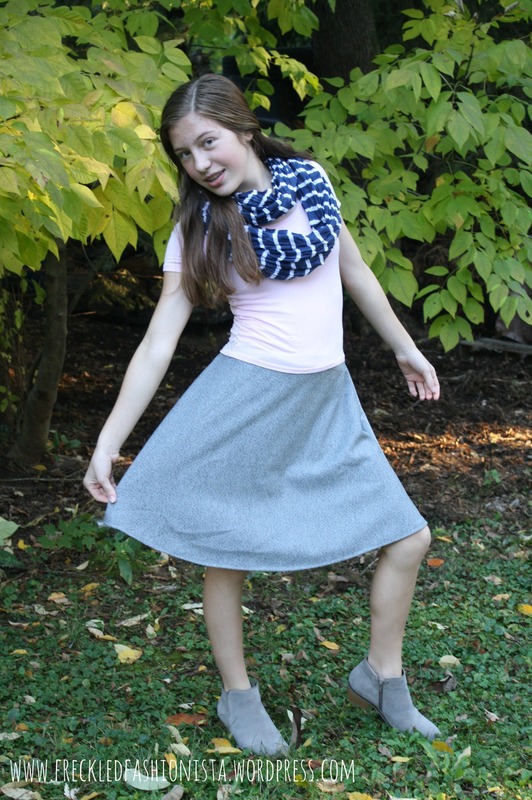 It’s going to be a no-sew skirt using a super easy tutorial online that I found. I’m going to cut the tulle long, so it will go past my knee, as I don’t want it to look like a tutu. From the description, I’ll admit, it does sound like a tutu, but I’m hoping the length and sequins will change that. Also, the skirt is something I’ll wear often in the summer, and last year the outfit I made for Project Runway was a long white dress–something I couldn’t really wear every day. Going into Joann’s, I knew I wanted tulle spools, instead of buying tulle by the yard, because I thought it would be cheaper and easier to cut, but tulle was 4.99 per spool. Online, the spool I wanted to get was only 1.49, and the day I checked, it wasn’t on sale. 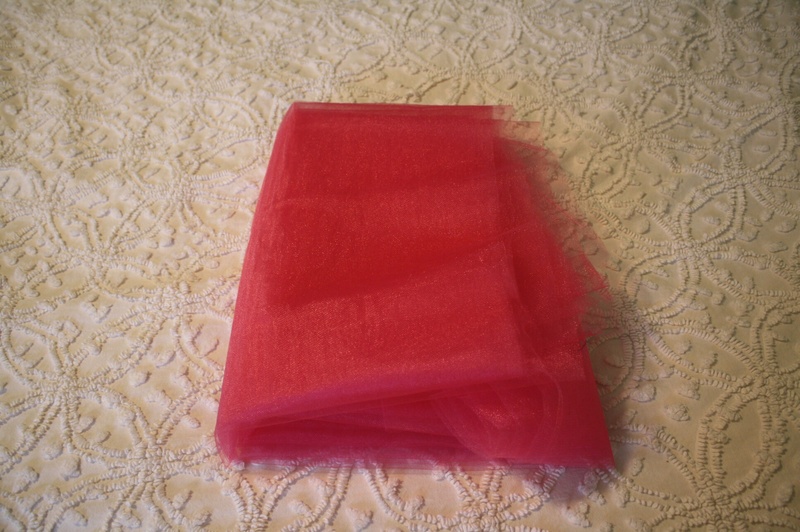 I planned to buy 7 spools so my tulle skirt wouldn’t be see-through, but that would have been roughly 35 dollars. Not something I wanted to spend on tulle, especially since I could go online and buy a tulle skirt for only 10 bucks. I got two different shades of pink tulle, because the lighter pink was practically see through, but was the color I wanted, so the darker pink add a nice blend.The dark pink turned out almost red in the picture. 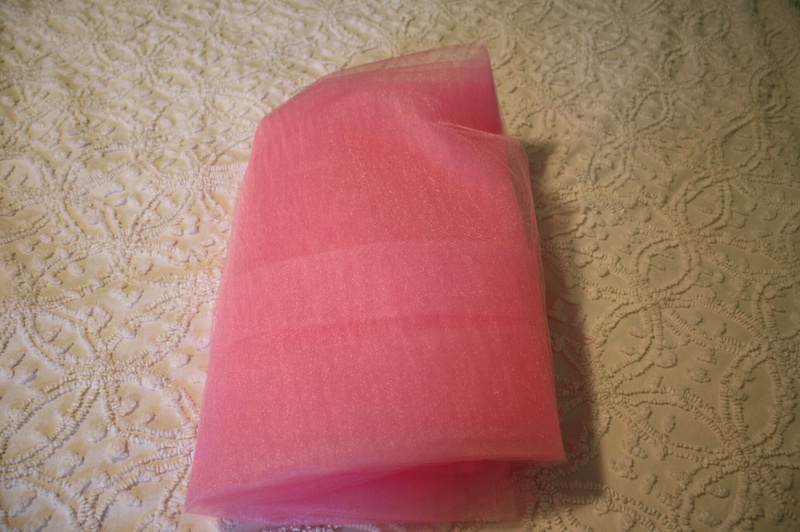 So, even though it wasn’t what I was planning on buying, I walked out of the store with lovely tulle cut by the yard (it was beautiful and a much better deal, at 99 cents per yard) and white sequins with pretty flecks of pink in them. The next meeting for Project Runway is next Wednesday, so (hopefully!) I’ll remember to bring my camera and take pictures of me assembling the skirt. I think it’s going to be really beautiful, even if I don’t have the tulle spools. Which do you think would have been better? 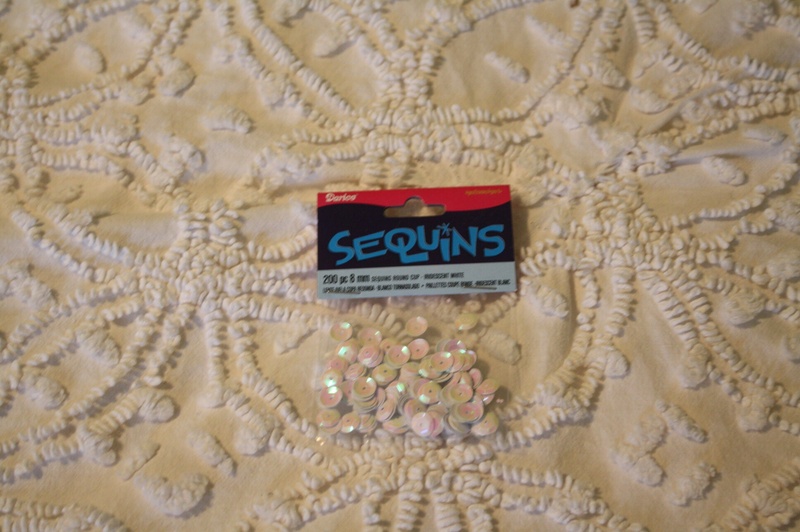 Expensive tulle spools that are easier to cut or tulle cut by the yard at a much better deal? Comment below and let me know!